One of our drivers will meet you at port of Livorno. He will be waiting outside of the cruise ship terminal, holding a sign with the group name on it. 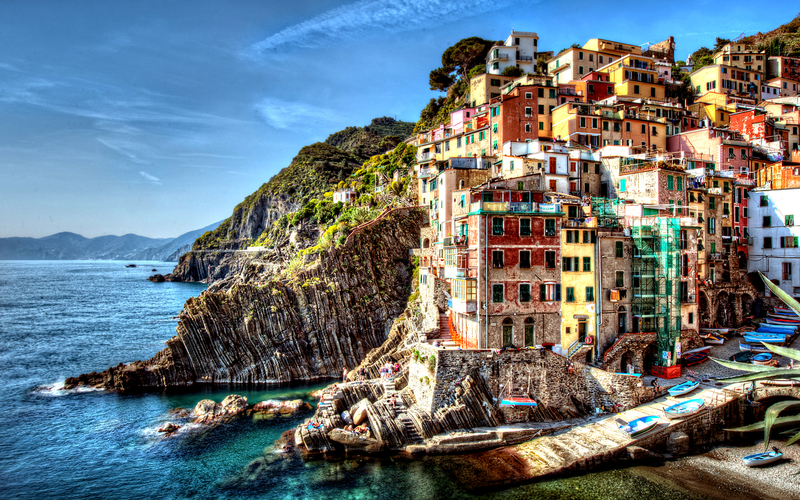 The 'Cinque Terre' is made up of five small, ancient fishing villages, inaccessible until some decades ago when a road was built. There are no cars and no noise but only nature. 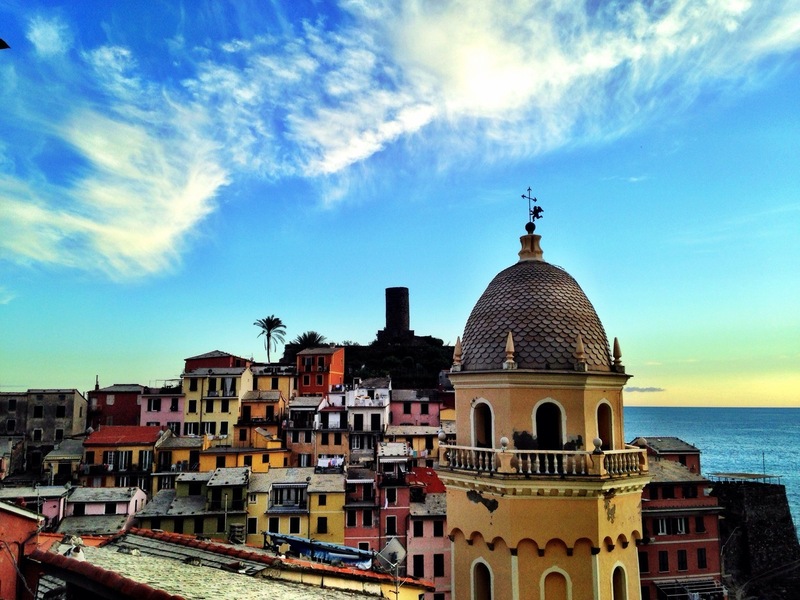 The population of each town is less than 500 except for Monterosso with 1000 inhabitants. 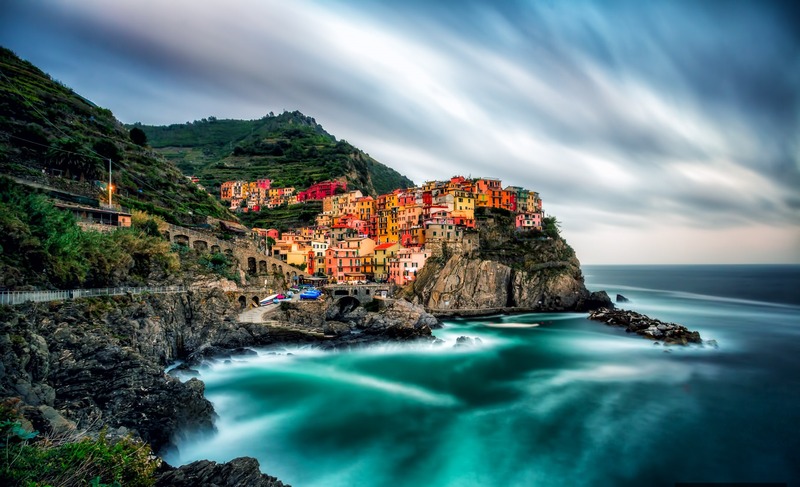 Driving north, you'll reach Riomaggiore, the first of the five towns and walk through it to get on the "Via dell'Amore" (Walkway of Love) a famous and romantic easy walkway carved along the cliffs which will take you to the second town, Manarola, in about 15/20 minutes. From Manarola you can take the train or the boat, unless you want to hike the mountain path, to Vernazza, the 4th of the Five Lands. This is considered the most picturesque of the towns and you should be getting there in time to have your lunch in one of its typical restaurants. This itinerary has to be very flexible,as not everyone wants to do the same thing but your driver will help you plan your day. After you get back to the car and time allowing, you will drive to Portovenere, once called 'Portus Veneris', that is situated in the most western part of the Gulf of La Spezia and is considered one of the most suggestive villages of La Spezia’s coast-line. Its origins dates back to ancient times: the first inhabitants were the 'Liguri', then the Romans and during late medieval times, by the monks that throve the village and its activities with their works. Abbot San Venerio was among these monks. Between the seventh and eleventh century, Portovenere underwent terrible and devastating invasions on behalf of Saracen and Norman pirates. 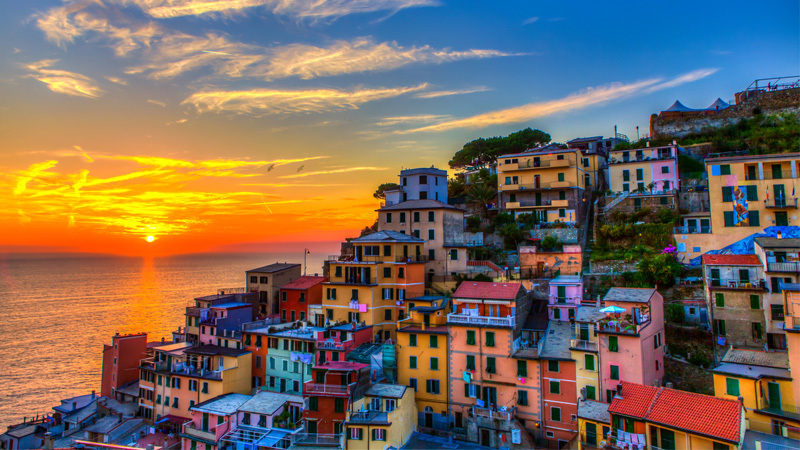 In 1113, the Republic of Genoa purchased the antique village and the three facing islands of Palmaria, Tino and Tinetto from the Vezzano family. Thanks to its fortunate and strategic position in the bay, the Genoese made Porto Venere a land fortress, and thus a powerful bulwark of defense of their dominions. For this reason, new houses were built according to the style of architecture of the Genoese colonies spread throughout the Mediterranean sea , conceived with both residential and defensive functions. Walls were built with three mighty towers and sturdy bastions and a majestic castle to guard the village. The castle still exists and may be visited. It very often hosts important exhibitions. 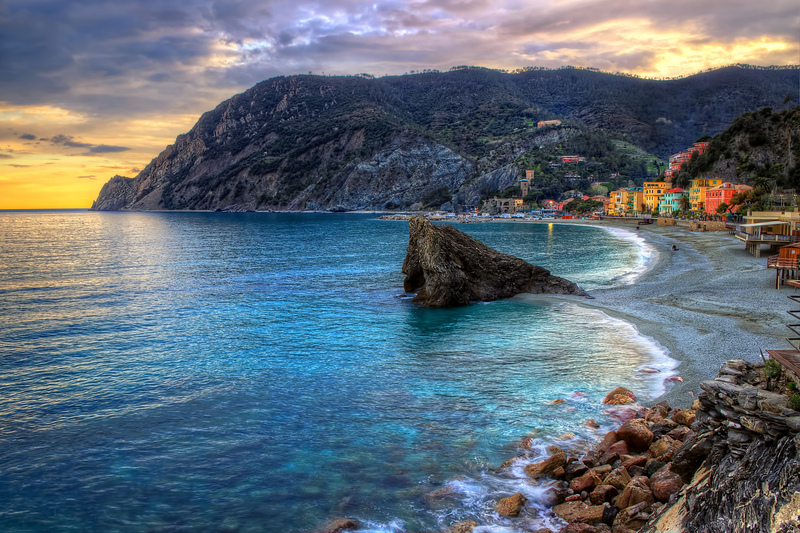 In the thirteenth century, Porto Venere faced another assault of the enemy. The Marine Republic of Pisa envied the fortunate Genoese base and furiously attacked the fortress of Porto Venere with its vessels. In 1256, following the harsh battles, peace returned to Porto Venere under the Genoese dominion, as the stronghold of the Republic. But in 1322, the village suffered the first defeats on behalf of the Ghibellini bandits from Genoa and continued having to defend itself from attempts on invasion carried out by the Lucchesi, French, Florentine and Aragonite armies, up to the Napoleonic period when the village became part of the projects of militarising and transforming the gulf, concluded under Cavour's government by the General Domenico Chiodo. Nowadays Porto Venere is a unique resort site, a pleasant combination of a primitive environment and modern equipment, that protect this suggestive and incomparable corner between the sky and sea. 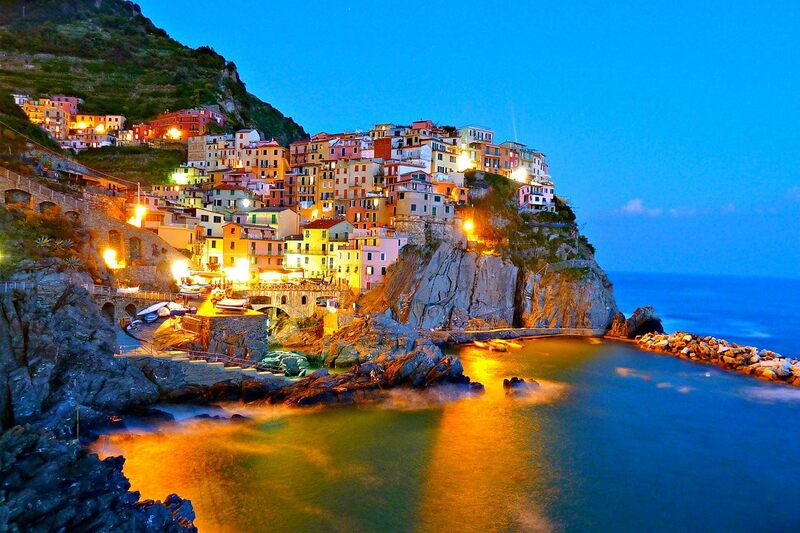 An excellent example is represented by the Byron Cave , hollowed out in the harsh rocks of the shore that conduct to the Cinque Terre. The cave is dedicated to the famous nineteenth century English poet, that lauded the beauties of the gulf even if he never visited it. Its original name is Arpaia Cave. From here on, you may turn into the 'carruggio', the typical narrow and winding streets that cross the high part of Porto Venere, once called "Castrum Superior". 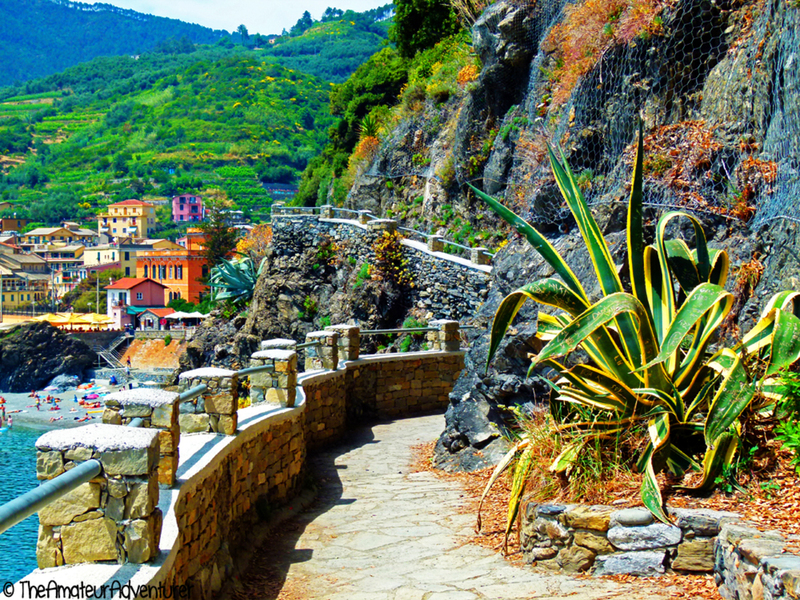 While strolling through the 'carruggio', crossed by three picturesque flights of steps that connect the village to the shore, you may find typical restaurants and meeting places alternated by unique artisans' shops. At the base of the typical tall houses painted with the characteristic local colours, the Calata is the liveliest and most popular area of the village where restaurants, bars and shops are located.